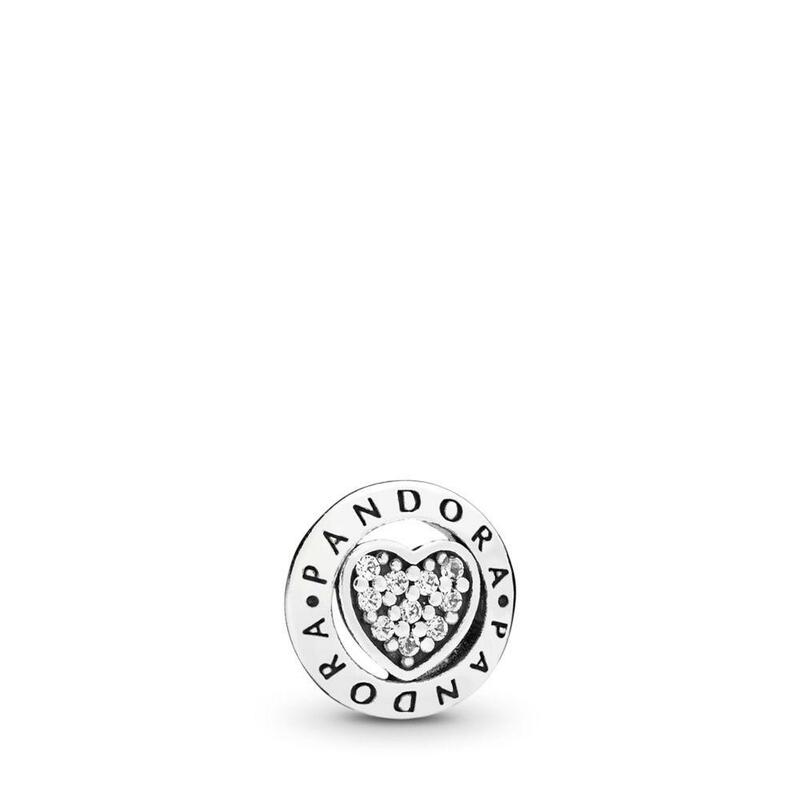 Add a touch of signature PANDORA style to your floating locket with this logo-embossed sterling silver petite. With its heart motif and sparkling accents, it will enhance any styling. 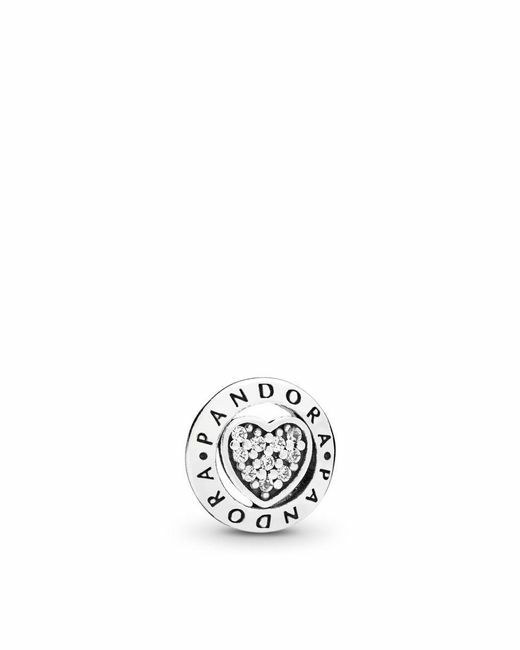 These petite charms can only be worn inside the PANDORA Petite Memories Floating Locket designs. 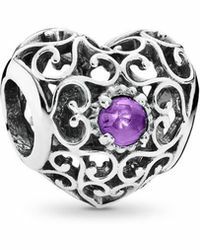 They cannot be worn on our classic bracelet or necklace designs or the PANDORA ESSENCE Collection.